You can make this salad in a snap! I whipped it up tonight in only five minutes. And as a bonus it's delicious and full of vitamin C, vitamin E, lutein & zeaxanthin. 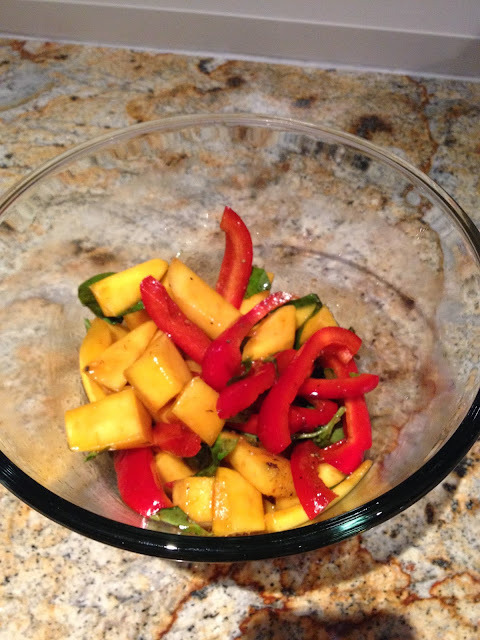 Add the mango, red pepper and basil to a medium sized bowl. In a separate, small bowl add the ingredients of the dressing and whisk. Add the dressing to the salad. Enjoy!